If you have the perfect house with a perfect lawn, you know how important it is to keep them both in a good shape. While it is relatively easy to clean your home, it is difficult to manage the upkeep of a lawn, especially if you have an enthusiastic dog ever ready to maul it with his claws. You certainly cannot blame your dog for destroying your landscaped lawn, for running about in open space is his nature. You can, however, do something about your lawn. You spend months toiling over it, trying to make it perfect, but all it takes is an excitement-filled romp by your pooch for it to look like a wreck. If only you could have a lawn that wasn't so easy to ruin! Your concerns may just have been addressed though. Synthetic grass lawns are a great alternative to natural grass and are gaining increasing popularity among those who want to add a little green space in their homes. Also known as artificial or plastic grass, you can purchase it easily and use it to enhance the beauty of your humble abode. 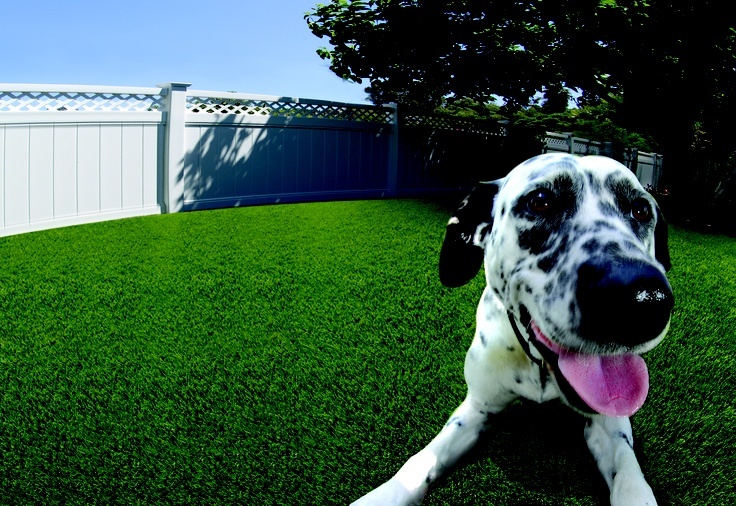 If you are concerned about how artificial grass will affect the health of your pet, read on to know why it just might turn out to be one of the best things you ever did. We all have busy lives. We’re trying to juggle so many things together. That hardly leaves us with time to look after ourselves, let alone the lawn. When your dog prances about on your lawn, he might accidentally end up destroying the sod. With synthetic grass, you don’t need to worry about that. It is low- maintenance and keeping it clean doesn’t take up much of your time or effort. No more watering, weeding, fertilizing, aerating, and mowing the lawn. A lot of regions find it tough to grow grass due to unsupportive climate or bad soil conditions. Having a lush lawn in such locations can seem like a distant dream. But, with plastic grass in your lawn you’ll feel like you haven’t missed a thing. Your lawn will stay evergreen throughout the year, without you having to even look after it. And as far as your canine friend is concerned, leave him to run around on the artificial grass all day, without a care in the world. Tired of shelling out big money to keep you lawn looking good all year round? Having a healthy pet is an expensive affair, and that coupled with lawn-maintenance costs may burn a hole in your pocket. 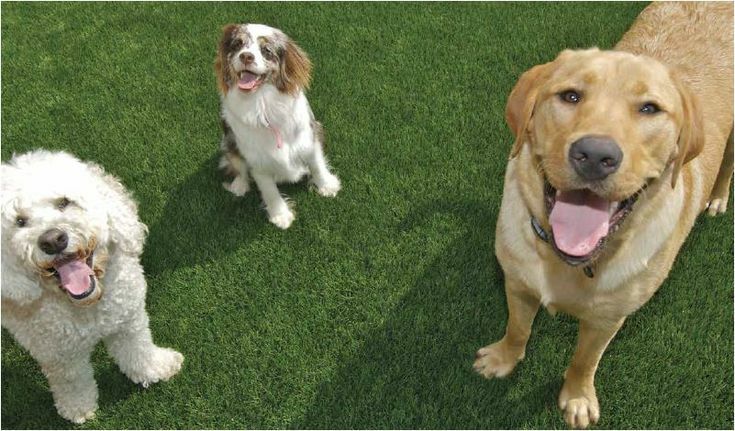 With an artificial turf, you not only get a great play area for your doggie, but you can also ensure that he stays in good health as he frolics in it. In order to take care of your grass lawn, you will have to use poisonous chemicals like insecticides, pesticides, and fertilizers, which means additional expenses. Furthermore, even though these chemicals may help the grass grow and keep insects and pests out, inhaling them is likely to have an adverse effect on your pet’s health. Apart from that, his hide/fur will constantly come into contact with these dangerous elements, thereby making him vulnerable to skin diseases. All these problems can be easily avoided by having a synthetic turf installed. Your pet is probably one of the main reasons your lawn is not growing any grass. And as your dog digs into the earth, you can be sure that your lawn is never going to be the same. Dogs also tend to leave dead spots in real grass lawns, which leave them looking unattractive and render them useless. On the other hand, with a plastic turf, you can rest assured that your lawn will continue to look beautiful and inviting for a long time as it is sturdy and durable, and can withstand a great amount of traffic and wear. 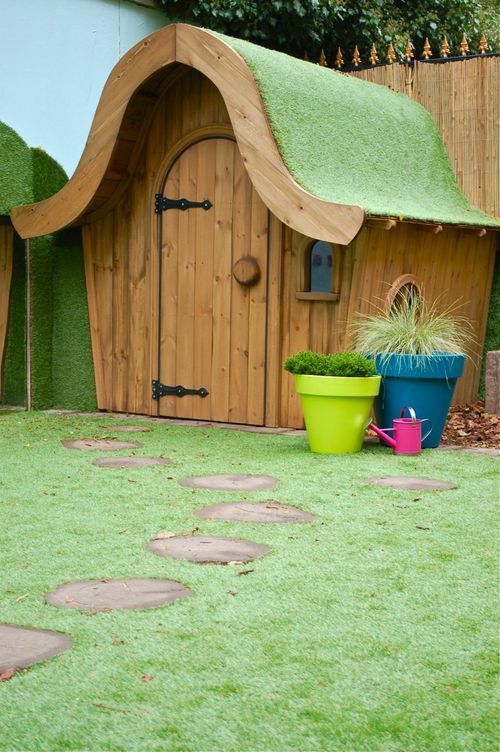 Provision for excellent drainage is another plus that can be associated with artificial grass. So, even if your dog soils it or answers nature’s call on it, you need not sweat over it as it can be cleaned up easily. Yes, it is possible to achieve the dual objective of maintaining great looks at a low cost. We’re still talking about synthetic grass. Not only is it strong and convenient to use, it also comes in various colors and tones. You can choose from two-toned, three-toned, or even four-toned grass to uplift the look of your lawn. Artificial grass blades are soft, and the fibers used to create them are harmless. And because the grass is easy to clean, you won’t have to bother checking for discoloration, stains, or foul odor. What you’re going to love about installing synthetic grass in your lawn is the fact that despite providing you with several benefits that make your life simpler, it doesn’t lead you to breaking your bank. In the long-term, it is much more cost-effective compared to natural grass as it requires very less maintenance and care. You cannot spend all your time, money and effort in rebuilding your precious lawn every time your dog destroys it. Irrespective of the type of natural grass you grow, there will always be the risk of your pooch ruining it over and over again. There is a simpler way now and the revolutionary synthetic grass makes perfect sense as a solution to this. Given all the benefits and convenience that come with it, it may well become the lawn of the future.